As the winter season winds down, you will need to start thinking about preventive maintenance to be sure the HVAC system in your Sugar Land, Texas, home is ready for the warmer months ahead. You may dread the search for the right HVAC contractor because you find the process to be overwhelming, or you’re not sure about what criteria you should consider. 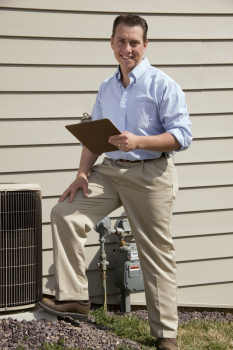 The following are a few of the warning signs you should consider when choosing your HVAC contractor. If a price sounds too good to be true or is well below other quotes, there might just be a catch. You have to be sure about the services the contractor intends to perform, the quality of the work, and parts to be used. Although you will be provided with a quote or estimate, you still need to be sure that there will be no surprise fees. You may have heard that the size and capacity of your heating and cooling system should be determined by your home’s square footage. This is accurate only to a certain degree. Other factors can greatly impact the size of the system you need. If your HVAC contractor is trying to sell you on a system before checking your home’s layout, insulation, sun exposure, appliance placement and other factors, they may be more interested in selling you an HVAC system that’s profitable to them than beneficial to you. You should never agree to services from a contractor who insists a phone quote for an installation or major job is accurate or final. They may be able to provide a price range or a price list for common repairs or services, but until they look at your unit and home in person, they can’t be sure of the work that you’ll need. For an HVAC contractor you can count on in the Sugar Land, Texas area, contact Conditioned Air Mechanical, today. Our experienced contractors are NATE-certified and possess all the required licenses and certifications. The fact that we have been serving the community since 1956 is a testament to our reputation. Contact us today for service you can trust.